Thanks to social media and the fact that almost everything is connected, it is not uncommon for us to have a peek into the life of everyone we know—or do not know for that matter. However, the one thing that most people do not easily share is their salary. Because it can be difficult to know what our peers make, it leaves most people in the dark when it comes to asking for and evaluating their next salary offer. Luckily, at Woo, we have figured out a way to remove the guesswork. 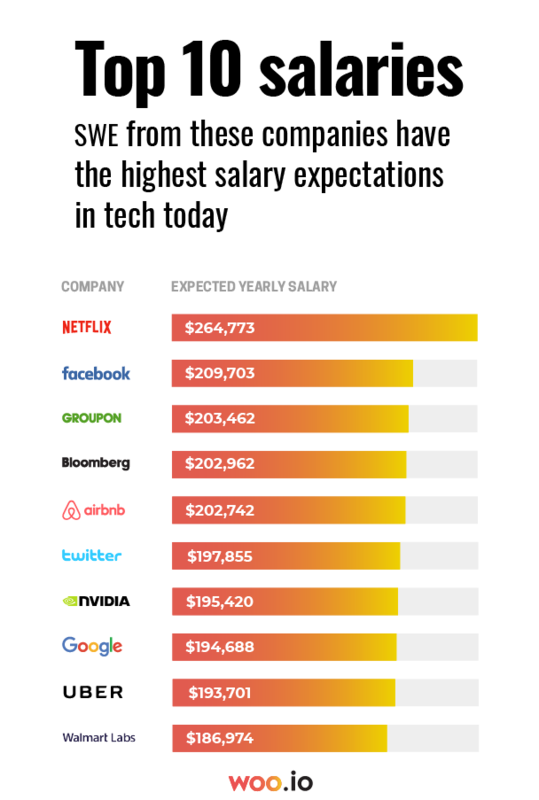 We were able to gather the salary expectations from software engineers from dozens of major tech companies. It is our hope that this information, which was given anonymously, can benefit everyone from software engineers to companies. To begin the job search process with Woo, potential candidates fill out a detailed “wish list” of their expectations. Questions range from the city they want to work in to the technologies they want to work with to the salary they want to earn. Once the “wish list” is complete, the data is incorporated by Woo’s matching algorithm, and based on these expectations, candidates get matched with opportunities. Because this information is rationalized and discreet, the data collected during this process makes a big difference both to professionals and the companies that hire them. As a tech professional, applying this information to an efficient job search can help you get the results that actually match your qualifications. This data can be used to adjust your demands, help you realize that you could be doing better, or allow you to feel reassured that you are getting your worth. The above data shows actual salary targets of Woo candidates (as shown in their profile). By using the Woo matching algorithm, candidates will only receive notifications of opportunities if there is a match across the board between their expectations, skills, and experience, and the company’s offer. 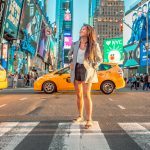 These valuable insights are unique to Woo in order for companies to gather reliable insights into software engineers’ true salary expectations. Because Woo keeps this information confidential, candidates are more likely to share their honest expectations when they know it is truly anonymous. Once both sides show interest, the company can view the candidate’s desired salary. “On the employer front, it helps companies engage with people who are considering looking for a new job, but aren’t ready to come out of the shadows and risk being seen by their current employers,” says Kotzer. Not only does this salary data serve companies’ interests in a big way, it also helps software engineers discover their market worth. This information reveals what other firms could be offering, allowing your company to stay competitive so you can attract top talent.